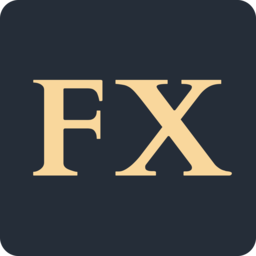 Hello, and welcome to Foreign Exchanges, your new home for keeping track of the latest news from the exciting world of international currency trading! Just kidding. I realize we’re starting out on April Fools Day, and I happen to be extraordinarily bad at pranks so consider that my nod to the day and let’s move on. Everything else in this post is genuine, I promise. What I’m actually hoping is that you’ll make this your new home for getting a handle on world news and US foreign policy. One of the things I've noticed over several years studying Islamic history and US foreign policy is that it's hard for most Americans to get a handle on what’s happening overseas. We have a media that, when it bothers to dig in to international affairs at all, usually does so in furtherance of the conventional DC wisdom. This makes it very easy for our foreign policy to be hijacked by forces that want perpetual war, a massive military state, and the continued forcible expansion of American empire. Foreign Exchanges exists to try to change that. My nightly international news digests collect important stories from around the world and give them to you in an easily digestible format with the context and commentary—and let me forewarn you that I come at these issues from a left perspective and I’m not going to hide that—that you need to stay on top of what’s happening. I look for interesting perspectives on world events and US foreign policy and try to bring those perspectives to you along with my own take on those perspectives if I think it’s applicable. I also write occasional pieces about aspects of world history that I hope might familiarize people with other parts of the world (at the very least, I hope they’re interesting). I’m Derek Davison. As I said above, I’ve spent several years studying US foreign policy and Islamic history, and it’s been my privilege to share what I know and my perspectives on world events for the past several years at and that’s the way it was, LobeLog, on Alhurra TV, on Newsy, and on a variety of podcasts like Chapo Trap House and The Michael Brooks Show. I’m bringing the work I’ve been doing at attwiw and Patreon for the past couple of years to Substack. If you’re new here then this question won’t really apply to you, but people who’ve followed me here to Substack from WordPress and/or Patreon might be wondering why I’m no longer calling this operation “and that’s the way it was.” The simple answer is that with a new site, where I’m hoping to grow a larger audience, it seemed like the right time to make a new start. But the new name doesn’t mean I’m changing anything on the content side. Let me be clear: if you liked “and that’s the way it was,” you can keep “and that’s the way it was,” just under a different name. “Foreign Exchanges” captures what we’re doing around here on two levels. There’s the obvious level, what with all the world news and commentary. But there’s also the esoteric level. Maybe you’re familiar with the somewhat famous L. P. Hartley line: “The past is a foreign country: they do things differently there.” We deal with the past a fair amount here (enough that I think we can conclude he’s not entirely right—they don’t do things that differently) and so I think the name fits in that way as well. On a practical level, “Foreign Exchanges” is easier to say, easier to remember, and also lends itself to a much more intuitive url, so that’s all nice too. That’s all I have to say by way of introduction. And if for some reason you decide you’d like to read it again someday, most of this post is pulling double duty as our “About” page so you can find it there. Thanks for reading and I hope to see you around here!